Williams, Robbie, Charles & Eddie, Kool & the Gang and Touch & Go. http://www.evenimente-dj.ro/index.html .http://www.facebook.com/EvenimenteDj . 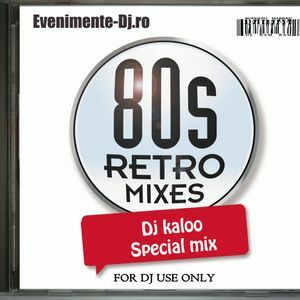 We chose each of the years 80s & 90s songs for the promotional mix. I hope you like our music. Understanding your opinions mixes featured on your social networks. thank you for being with us. Share and Like Music.